Amesha Spenta is an Avestan language term for a class of divine entities in Zoroastrianism and literally means "Bounteous Immortal" and is used to refer to the great six "Divine Sparks" of Ahura Mazda. In Zoroastrian tradition, these are the first six emanations from whom all subsequent creation was accomplished. 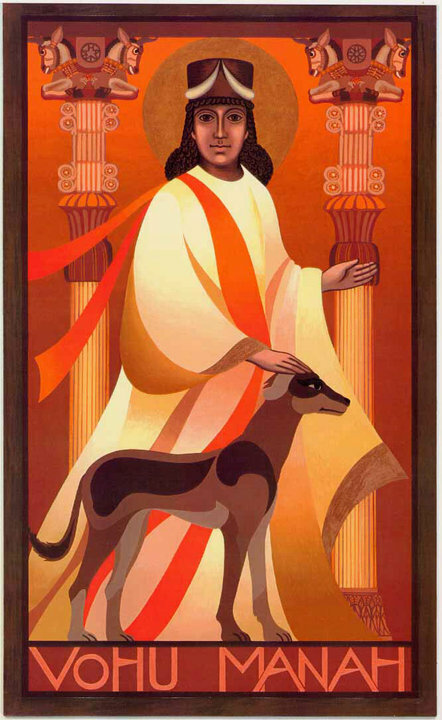 The expression "Amesha Spenta" was coined by Zarathustra himself. In the context of Zoroastrian view of creation, the group of the Amesha Spenta is extended to include Ahura Mazda, represented by Spenta Mainyu. Ahura Mazda's Spenta Mainyu is the instrument or "active principle" of the act of creation. It is through this Holy Spirit and the Bounteous Force that Ahura Mazda (God) is ingrained in the soul of humans and signifies how the Creator interacts with the world. It stands for the discerning wisdom and thorough thinking required for leading a useful life. It is the generator of Good Thoughts, Good Words and Good Deeds. the responsibility to reap the consequences. the first Amesha Spenta created by Ahura Mazda, at whose right hand he sits. 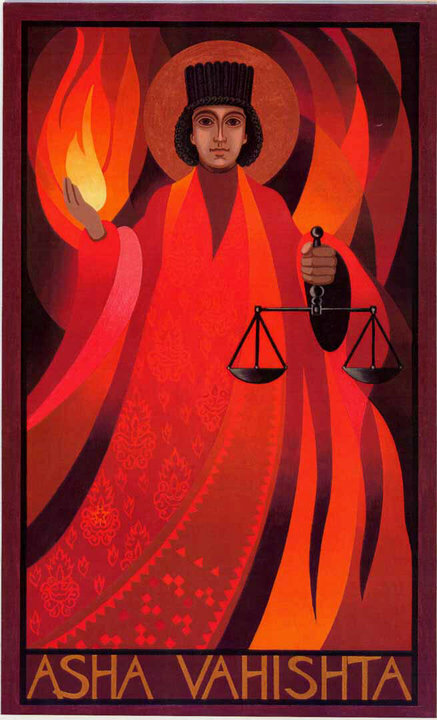 It is the Divine Law-it embodies Righteousness, Truth, order, Justice and Progress. It is the universal law of righteous precision. 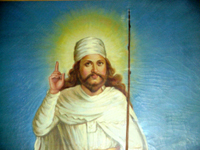 Every Zoroastrian strives to follow the Path of Asha in its highest and deepest spiritual sense. 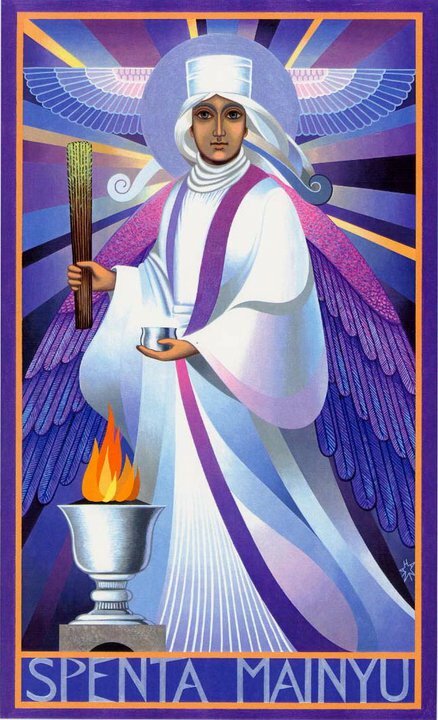 Asha is the personification of the "most righteous truth". He was the second Amesha Spenta created. as the principal adversary of the world against the Daevas. Khshathra Vairya means "Righteous Power" Denotes the "Power" to settle in peace. It is chosen by free and wise people as their ideal order in spirit and matter. It is the divine dominion. It is democracy in mind and body, in thought, words and deeds in every social activity. as well as good authority which ushers in prosperity and the Kingdom of God. Spenta Armaiti means "Holy Serenity, Devotion" also means Tranquility, Holy Compliance. It is peace and prosperity. 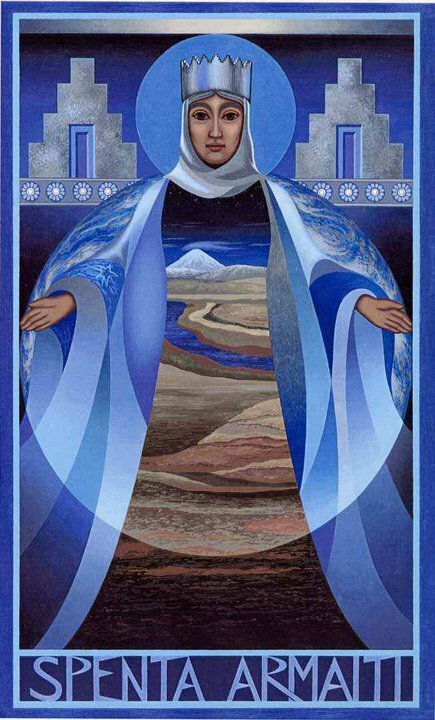 She is an earth and fertility goddess and daughter of Ahura Mazda. She was the fourth Amesha Spenta created. and also perfect mindedness gained through humility, faith, devotion, piety, and so on. Haurvatat means "Wholeness, Integrity, Health and completion". It is the perfecting process and final completion of our material and spiritual evolution. She is the Amesha Spenta that presides over water and is the personification of perfection. 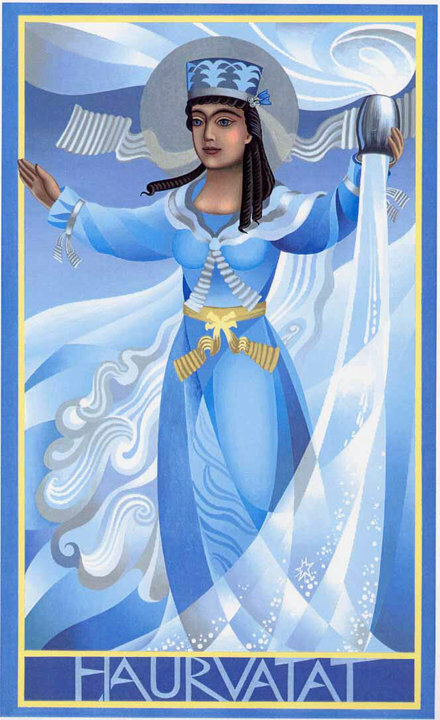 She guards the spiritual and physical natures of water, and she brings prosperity and health. Ameretat means "Deathlessness and Immortality". the final achievement of our life on earth. 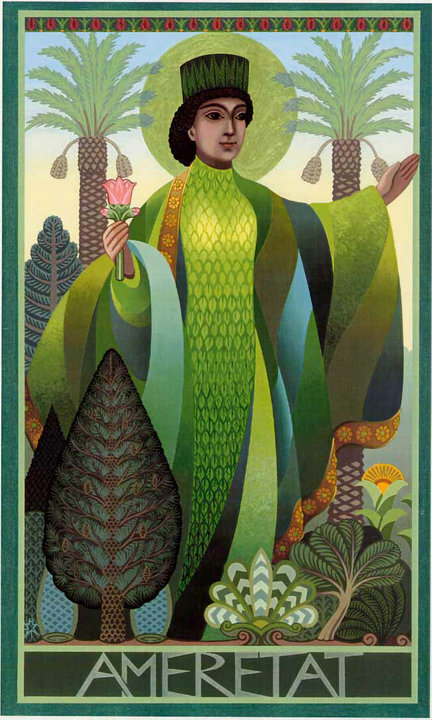 She is associated with plants. spiritual aspects of eternal life as are symbolized in plants. 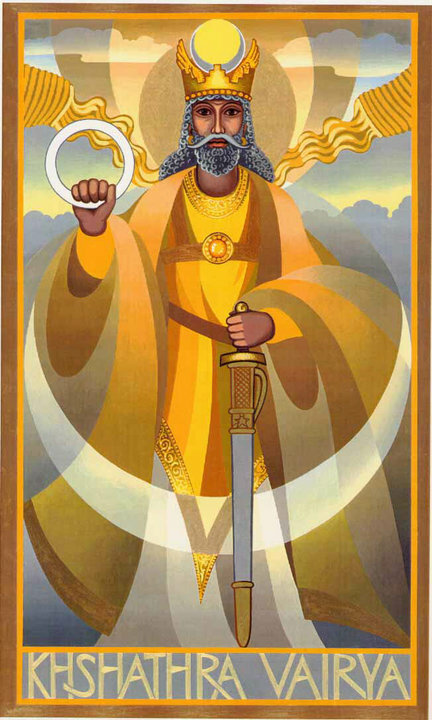 He is the spirit of Ahura Mazda, active in the world. He has dominion over humans. He is the god of life and personified light and goodness in the world and people. while Ahura Mazda (Name synonymous with Ormazd) became known as Zurvan.